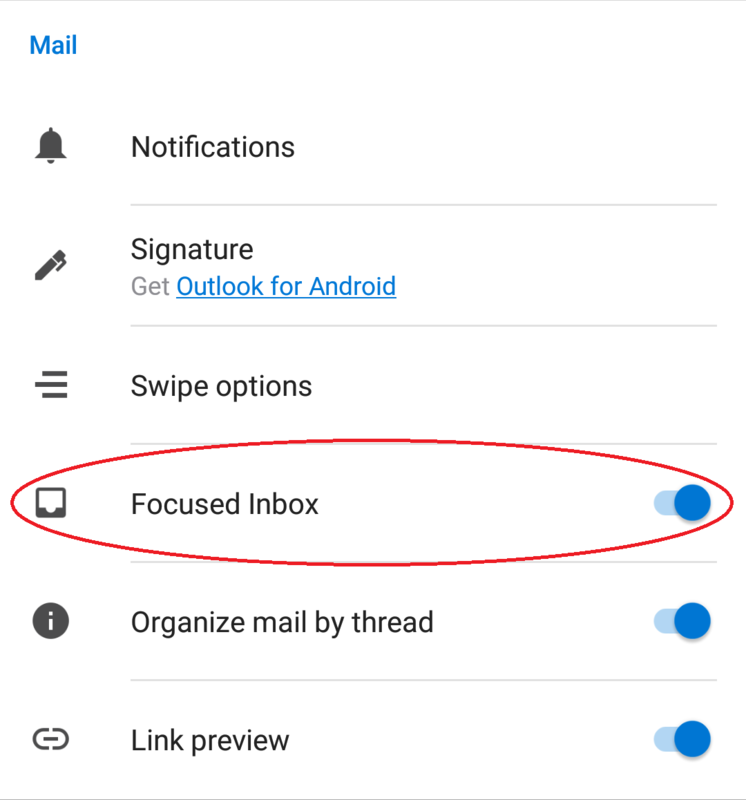 The Android Outlook app separates messages based upon its algorithm's judgement of the content of the email's importance. This article explains how to turn off this feature. 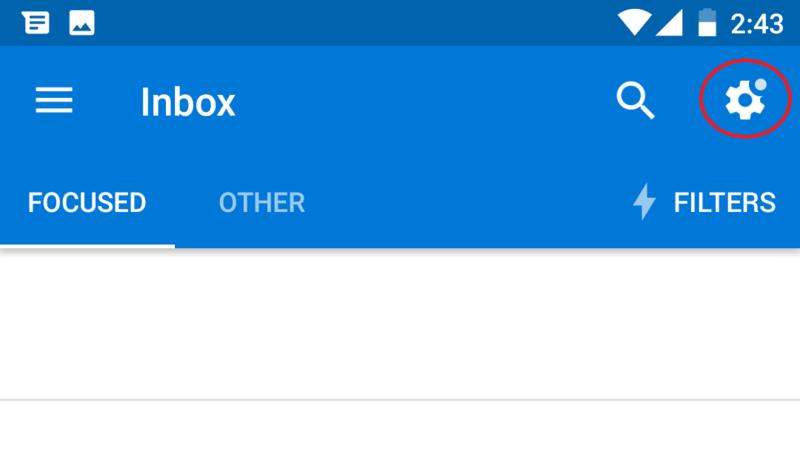 Step 1:From the Outlook app, tap the settings icon. Step 2:In the Mail section of settings, find the toggle switch for Focused Inbox. Step 3: Tap the toggle switch so it becomes gray. Focused Inbox has now been turned off.